Episode 2 of our new season, produced and presented in November 2018 by Susan Stone. Translator extraordinaire (and DLS co-founder) Katy Derbyshire tells us all about Aphra Behn, the first woman author who lived off her writing. Additionally, our podcast producer Susan Stone visits a new Berlin exhibition of work by the mysterious photographer Vivian Maier and tries to pin down just who took these pictures and how she would feel about them becoming public. Katy recommends you read Behn’s The Rover, and the excellent biography by Janet Todd, Aphra Behn: A Secret Life. And at this link you can find a picture of Behn’s grave at Westminster Abbey. Self-portrait, undated, © Estate of Vivian Maier, Courtesy of Maloof Collection and Howard Greenberg Gallery, NY. If you want to see more of her work, check out the show at the Willy Brandt Haus in Berlin (up until January 6, 2019), browse the website dedicated to her work, or check out the fantastic biography by Pamela Bannos. This episode features music by Dee Yan-Key (“Weep No More“), and our theme music is “Little Lily Swing” by Tri-Tachyon. Thanks for listening! We’ll be back in December with our next episode. You can peruse all our previous podcasts on our Podcast page. We’re pretty proud of our prolific production. The very first NYC edition brings you not just your usual three ladies, but an extra bonus lady as well! These incredible women include a radical Catholic, a history-making dressmaker, a forward-thinking chemist, and a codebreaker extraordinaire. Presented by marketing maven MARY KATE SKEHAN, fashion guru CANDACE MUNROE, doctor and performer CHIOMA MADUBATA, and your host, MOLLY O’LAUGHLIN. Join us as we toast these groundbreaking women at the KGB Bar on Wednesday, 5 September, at 7pm. Free admission; please buy a drink or two to ensure the future of DLS NYC at KGB. DOROTHY DAY was a journalist, social activist, and political radical in New York in the 20th century. During the Great Depression, she founded the Catholic Worker Movement, a pacifist and social justice movement comprised of direct aid for the poor and nonviolent political action on their behalf. The Catholic Worker Movement continues to be active throughout the world. Day is a candidate for sainthood in the Catholic Church. ANN LOWE dressed pirate queens, American royalty, and silver screen starlets during her career that spanned over 50 years. Born in the South, to a long line of dressmakers, she took over the family business at the age of 16 by designing a gown for the Governor of Alabama’s wife. She worked her way from Alabama to a studio on Madison Avenue. Her work is featured in museums around the country, including the Smithsonian’s National Museum of African American History and CUlture adn the Metropolitan Museum of Art. ROSALIND FRANKLIN’s research helped elucidate the structure of DNA, the molecule that determines the growth, development, and reproduction of all living things. She was a chemist and an expert in X-ray crystallography whose results were essential in Watson & Crick’s final model of DNA—but her data were shared with them without her knowledge, much less consent. Franklin also studied viruses, visualizing the first viral atomic structures and studying the structure of polio. At age 38, she died of ovarian cancer, possibly due to her long work with X-rays. During her lifetime, fellow scientists recognized her valuable work on coal structures and viruses. However, her essential work on DNA has only recently been recognized. Through the course of ELIZEBETH SMITH FRIEDMAN’s lifetime, she went from being a Quaker schoolteacher in Indiana to being a master cryptanalyst whose work laid the foundations for the NSA. She went up against Shakespeare conspiracy theorists, rumrunners, and even J. Edgar Hoover. Her work in World War II helped prevent the Nazis from taking over South America, but nearly all of it was a national secret until after her death. The last in our first season, produced and presented in August 2018 by Susan Stone. 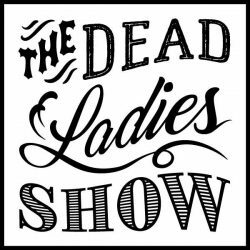 Co-host Katy Derbyshire gives us the low-down on the early-19th-century lesbian diarist and traveller Anne Lister, a dead lady who is having a bit of a moment right now. Also available on Soundcloud, iTunes, RadioPublic, Pocket Casts, Stitcher, and Acast. You can download the transcript here. Thanks for listening! We’ll be back in October after a short break, raring to go for our next series. Show number 18 brings you another three pioneering movers and shakers, women who forged paths, saved lives, and changed history: a ground-breaking scientist, a feminist activist, and a film icon. Brought to you by professor and migrant mothering expert Agata Lisiak, award-winning language-juggling poet Uljana Wolf, and regular Florian Duijsens. All held together, of course, by your beloved co-host Katy Derbyshire. Raise a glass of something cool with us – as we celebrate three women who altered the way we see the world in the ACUD Studio on Tuesday, 11 September at 8 pm. Presented in a messy mixture of English and German. €5 or €3 reduced entry. Still generously supported by the Berliner Senat. Doors open 7:30 pm – come on time to get a good seat and a good drink! MARIE SKŁODOWSKA CURIE is the only woman to win Nobel Prizes in two different sciences: physics and chemistry. She started her training at a clandestine university in her native Poland before moving to Paris. For her marriage to Pierre Curie, she wore a dark blue outfit that she later used in their laboratory, a converted shed. Exposed to the elements – both cold weather and uranium – she carried out pioneering research on radioactivity. In fact, she literally invented the word, and also discovered polonium and radium. Her mobile X-ray units were used to treat over a million soldiers in WWI. Her death was probably caused by long-term exposure to radiation. Despite her achievements, Marie Curie was unpopular in France, and she turned down a Legion of Honour award. Still, Paris more recently named a Metro station and a research centre after her, put her on a banknote, and turned her former lab into a museum. BERTHA PAPPENHEIM was an Austrian-Jewish feminist who founded the Jüdischer Frauenbund in Germany and set up many charitable institutions for Jewish women and children, providing “protection for those needing protection and education for those needing education.” While being treated for “hysteria” as a young woman, she invented free association (and was immortalized as Freud’s “Anna O.”); her doctor made her worse rather than better and she later refused psychoanalytic treatment for anyone in her care. She worked against trafficking of women, speaking out about Jewish women’s position: “Under Jewish law a woman is not an individual, not a personality; she is only judged and assessed as a sexual being.” In 1934 she brought a group of orphanage children safely from Germany to the UK. Bertha Pappenheim wrote poetry, plays, novellas, and translations, including of Mary Wollstonecraft. ANNA MAY WONG is considered the first Chinese-American Hollywood star. 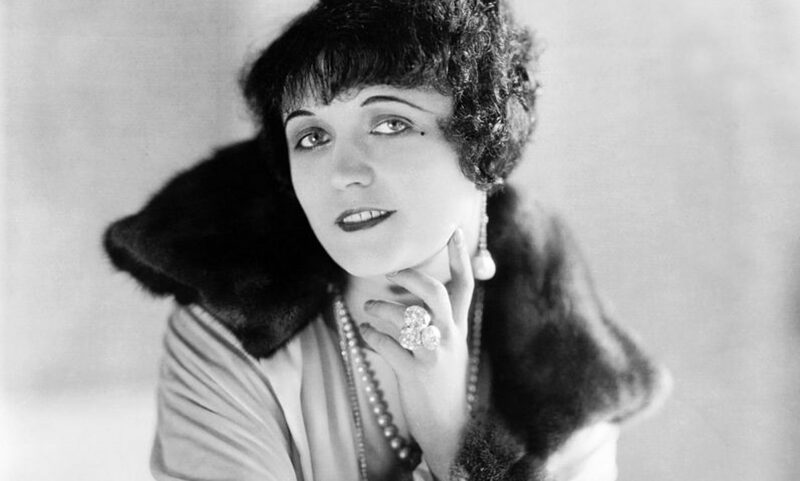 Born and raised in California, she began acting at 14, then left high school to go into silent movies. Soon tiring of all the interesting Asian parts going to white actors, while she played stereotyped roles – “Lotus Flower”, “Honky-Tonk Girl”, “Tiger Lily”, “Mongolian Slave”, “A Flower of the Orient”, etc. – Anna May left for Europe in 1928. Greeted as a star in Berlin, she at least got to play women who didn’t die as part of the plot. She made friends with Marlene Dietrich (and Leni Riefenstahl) and gave a revealing interview to Walter Benjamin. After her triumphant return to the States, Anna May Wong finally got leading Hollywood roles – but by far not all the ones she wanted, with racism continuing to affect her career and her private life. Kino Arsenal recently screened a retrospective, and prizes in her name are awarded for excellence in film and in fashion design. A few highlights from our June show, including Isabel Cole and Binnur Çavuşlu, Bettina von Arnim, Halide Edip Adıvar, Anne Lister, and some of our gorgeous guests from the audience. Thanks to Rosalie Delaney for the photos.